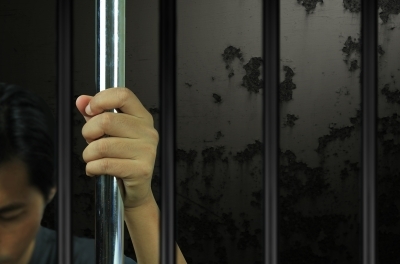 Student Post: Youth Crime: Is Imprisonment a Suitable and Effective Solution? Issues surrounding youth crime and justice are one of the longest-standing and most highly debated areas within criminology. There are many arguments surrounding the imprisonment of children and young offenders, particularly in relation to custodial sentences and whether they are appropriate and effective. There is no single, definitive principle of youth justice in the UK, but according to Hall, the philosophies of youth justice are four-fold and include welfare, punishment, rehabilitation and education. There is much controversy surrounding the punishment of young offenders in particular, and emphasis is placed on different factors according to changes in time and politics. This is particularly significant in recent years with the ‘punitive shift’. As a result of this punitive shift since the 1990’s, the UK has seen considerable focus on punitive approaches in managing youth crime driven by an intense desire for stricter punishment and responsibilisation of young offenders. According to Goldson, however, the imprisonment of children and young offenders is merely a matter of political convenience and the result of incompetent responses to, and failure to manage, youth crime through other methods. This approach is supported by current government plans to build a super-prison to manage over 300 children and young offenders. According to the Howard League, however, children’s prisons are volatile and dangerous environments which are ineffective at rehabilitating young offenders and are not suitable environments for young people. It is argued, therefore, that more emphasis should be placed on alternatives and that imprisonment is not an appropriate response to youth crime. During a recent visit to East Moor Secure Children’s Unit, it appears that the four philosophies underpinning youth justice are attempting to be implemented in practice; but how effective are these philosophies in reducing youth crime? According to the statistics for East Moor, 70% of young offenders released from the unit re-offend within the first year and many are subsequently returned to the unit. Much emphasis is placed on education at East Moor and on getting the young people to address their offending behavior. However, if recidivism rates remain this high, it has to be asked how effective the imprisonment of young offenders is, particularly in relation to rehabilitation and how this can be addressed. The cost, (per person/per annum) of detaining a young person in an institute such as East Moor is up to £220,000. As a result, if the risk of a young person leaving the institute and reoffending is so high, arguably, imprisonment is not an effective method of rehabilitation and the money could be better spent on identifying and implementing alternative strategies. During the visit, it was also highlighted that 90% of young offenders admitted to East Moor come from families with a recent history of offending behavior. Perhaps, this highlights the ‘welfare’ philosophy of youth crime and therefore more emphasis should be placed on managing the welfare of young people and addressing the external factors which may contribute to them committing crimes and ending up in institutions. If a young person is admitted to East Moor, or a similar institute, then returned to the same environment and circumstances which may have contributed to their initial offending their chances of re-offending remain high. Another factor for consideration when addressing the welfare of young offenders surrounds the disproportionately high number of children in these units suffering from mental health or conduct disorders which may be a significant contributory factor in offending. The resources at East Moor are good, with medical and mental health professionals available as required. However, 20% of the young people there have self-harmed and, as a result, it can be argued that locking up young people with such issues is only going to exacerbate the problems, therefore ethical implications surrounding the welfare needs of young offenders need addressing. It may be more appropriate for these issues to be addressed in the community, and incidentally, by concentrating on treating these underlying problems, the risk of repeat offending would reduce as a result. The punitive shift may explain why recidivism rates for youth crime remain high despite the education and support provided by institutes such as East Moor. Perhaps, Goldson’s claim that prison is a political convenience - a result of failure to manage youth crime through other means - may offer some insight into what the focus should be in order to change the future of youth justice for the better. However, the government’s plans to introduce a super-prison for youths would only exacerbate the problem, continuing to focus on punitive approaches, and avoid dealing with the underlying issues surrounding youth crime and justice and finding suitable alternatives. What are your views on the government’s plans to introduce a super-prison for young offenders? Do you think that punishment is an appropriate way of managing youth crime or should more focus be placed on alternatives?